Recycled Fashion: Vintage Fur Yay or Nay? The stigma of wearing real fur raises heated debates, yet fur still crawls its way back into fashion from time to time. Madonna, Eva Longoria, Linda Evangelista, Kim Cattrall, Jerry Hall, Lindsey Lohan and French Vogue editor Carine Roitfeld have all worn fur in public. Is it OK readers, to buy and wear vintage fur? New fur coats would be a big no - no; could the same be said for recycled fur jackets? 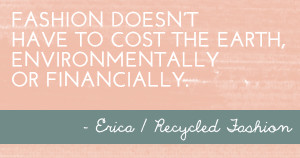 We all know recycling is good for the environment in general, and animals are not sacrificed twice for second-hand fur jackets, so is it safe to say vintage fur is acceptable? Real fur jackets frequent many second-hand shops, with price tags often marked at a higher thrift cost than other jackets in stock. Are shoppers actually buying second-hand and vintage fur? 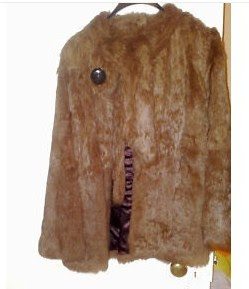 Having a little glance at eBay's completed listings, I would say the answer is yes, shoppers are indeed buying real fur. An article in The Australian 11 April tells of pre-loved fur's going under the hammer at Leonard Joel auction house, fetching far more than expected. The Thursday sale of 114 items of pre-owned designer clothing, accessories and furs fetched $68,000, more than double its pre-auction estimate. The highest price paid was $4,636 for a leopard fur coat. Writing this blog post makes me a little queasy.. readers, would you wear vintage or second-hand fur? You know what, I wouldn't even consider wearing a tshirt that had a fox wrap printed on it! Spooky.. I voted 'no' on your poll, Erica. I do have to say though, that it doesn't bother me if other people wear it. It's been worn for centuries and centuries to keep people who live in cold climates warm. I'm a life long vegetarian, but I still wear leather shoes. I see how much meat people consume and there doesn't seem to be outrage about animals being bred for human consumption, yet people carry on about animals being bred for clothing. I just don't get how everyone can't see the hypocrisy in that. So, even though I think it's creepy and wouldn't wear fur myself, I have no problem at all with others choosing to wear it, just like I have no problem with others choosing to be carnivores. Ky, you are right in a number of ways. I too, don't have a problem with other people wearing fur, but wouldn't wear it myself. Thanks for your comment! I understand the look and warmth are very desirable for people but think we have too many great synthetics out there to justify wearing fur. The vintage fur trend taking off and making some feel more humane doesn't save any animals, as all those that can't find vintage or used fur can simply buy new fur if the trend is big. That being said, just because it's cute and fluffy people feel bad wearing it, but happily sport leather or suede shoes. The outrage that a fur vest sold earlier this year might be dog not rabbit seems silly to me. They're both farmed animals which don't HAVE to be worn, like cows and pigs, all living things killed for their pelt. That's enough from me.. sorry. 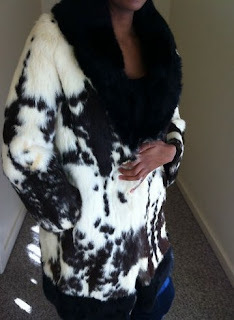 Personally I could never wear it, I can't even touch real fur, it makes me feel sick to even think about touching it. Sounds silly I know. Regards Vintage fur, surely the legislation concerning the treatment of animals farmed for their fur is more stringent these days than it was in past times. Wether you're wearing the baby or the Grandmama of fur garments there's no getting away from the fact that you're wearing a dead animal. I agree with you, ruby. I hate the feel of fur, it feels 'cold' to me. However, if I was to go visit some Siberian tribes or Eskimos I'd probably be the first to put my hand up to put on a fur coat! There's a huge difference between a tribesman wearing it to keep warm, and Naomi Campbell wearing it for no apparent reason. I voted no, I reckon these days you can achieve the same affect with faux, however, each to their own. I did see a woman with a rabbit fur the other day with fur bits hanging down, I don't think that is a good look. I'd wear it if it was vintage, but only then. There is no WAY I would wear a new fur item. But the problem is that even when wearing vintage, it can still give the message that fur is OK, so I have never actually worn any vintage fur pieces... If I could wear something at the same time saying IT'S VINTAGE I might do it...it's a debate I have with myself every time I see a fab fur piece at an op shop! I don't have a problem with vintage fur but I wonder if it would encourage others to buy more fur (vintage or not?). I find it's the same thing with faux fur trim (if it's even faux fur - http://greeneststuff.blogspot.com/2010/12/fur-trim-faux-or-not.html). There are so many hoods and boots trimmed with fur currently it just makes me wonder if people think trim is OK versus a full fur coat. In the end it's the same. 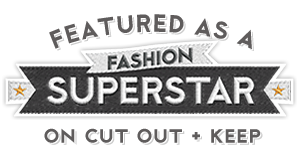 : ( It's not like we can wear signs that say "it's vintage, it's faux!". sometimes i think celebs fall back on the "but it's vintage and it wasn't taboo back then" argument just so they can wear it and avoid flack. new or old, fur is fur. I have a 1930's fur stole. I also wear leather and sheepskin on a regular basis too. Personally I don't see any difference between wearing these items and wearing fur. As Skippingtail says, people don't seem to bat an eyelid at wearing leather but will baulk at fur because it's fluffy and 'cute'. I seem to be going against the consensus here but I have absolutely no problem with wearing a vintage fur that died before the outbreak of WW2. I see it as a genuine reflection of a bygone era. Just my two cents worth. I like what Fully fashioned said. I will never wear fur only because if you knew me, you would know I could NEVER pull it off! Yuuuuuuk. When I was a kid, my friend and I used to freak ourselves out by going to her great-grandma's cupboard where there was an old fox stole complete with head and tail. I don't eat meat, but still wear leather, I must admit, so I can't be too judgmental. But still...YUK. I once had a dilema about a gifted a popular item I received that I personally found unethical and did not know what to do.. I thought I should give it to an op-shop for someone who would have no issue with it. But my partner said "you need to see it as a destructive bomb". A bomb is a bomb what ever you call it - would you give a bomb to an op shop. In my eyes vintage fur is the same - it's animal that was used not for the purpose of just protecting the body or feeding the body, but to make the body look classy and fashionable. The animal was killed purely for a fashion statement. The crazy thing is I remember Naomi in the 1994 PETA ad campaigns "I would rather go naked then wear fur" and now here she is wearing fur. It's all about the buck new or old. I think it stems back to my vegetarian teenage years where I ate fish and wore leather shoes - okay a bit half arsed but some effort was better than none hopefully. As for celebrities wearing fur maybe they like it maybe they want some press. I'm sorry but I have to say it - I feel that if you are eating meat and wearing leather but think that wearing (new OR old) fur is offensive then you need to step back and think about that for a minute. Just because one animal is cute, it doesn't make it more worthy of saving from cruelty and death. Don't think for a second that the factory-farmed animals that you eat have a better life or more humane death than the animals killed for fur - they don't. Their life is hell and you don't need to eat them to have a productive, healthy life. It's no different to wearing fur. I have to say, though, that often synthetic substitutes for animal products cause as much as, or more, indirect harm to animals in their production, use and disposal. They are highly toxic, don't last very long (so are disposed of quickly) and damage the environment too. So basically we can't win - we all have to be vegan and wear hemp. Or go naked. I couldn't do it. Not real fur. I have a few faux fur pieces. I have a vintage faux fur coat from the 60s. It's lasted this long I don't think it's going to disintegrate anytime soon so I don't get the whole argument about faux not being as good as the real thing. To each their own, but I personally love vintage fur and think it is a great way to get use out of furs that have been passed down through generations. I often look for fur when at the thrift stores. I don't wear it myself, it just doesn't get cold enough where I live. I would in a colder clime but it could never be new. And faux? Eeeewwwwwww. I don't like wearing synthetics at all. Of anything. No polyester, rayon, etc. Yes, yes and yes...! Vintage and new, as long as it is humanely raised & killed, like leather and meat.. All the same..! The reason for not wearing vintage fur is because it perpetuates that fashion. If vintage fur becomes fashionable again, there will be a market for fur again and then the whole fur market will start up again and animals will die needlessly just because humans decide they want to 'look good'. Looking for advice/feedback... I live in Northern Ontario where the windchill has been -43C and all my synthetic coats are not warm enough no matter what I layer with. The estate sale house I bought came with 4 fur coats that fit me. Why is it acceptable to wear down filled jackets, leather and eat meat but not wear vintage fur? What do I do with it? Throwing it out does not feel like it values or respects the animals life either....Any thoughts? Fur is skin with hair,leather is skin without hair.The same by product of what usually involves brutality against animals.Our insensitivity and selfishness is frightening,with such lack of concern.This inherent disregard for life is the underlying element which enables people to destroy each other and their environment.Abuse and exploitation of animals leads us to ignorance and denial,and erodes our potential for positive evolutionary shift.